Lackadaisical Saturday mornings go hand-in-hand with coffee at a fine establishment. I speak no great epiphany, but since my Saturdays are often lightning-paced (and when they are not, I sleep them by) I lament that I rarely get to enjoy the pleasantry of a Saturday morning brew out. Yet vacation changes everything and being in Pittsburgh on a gorgeous Saturday, my entourage and I made our way to Aldo Coffee Company. A bit of a local coffee hero, Aldo has been in the lime light on more then one occasion with their quality barista skills and coffee practices. 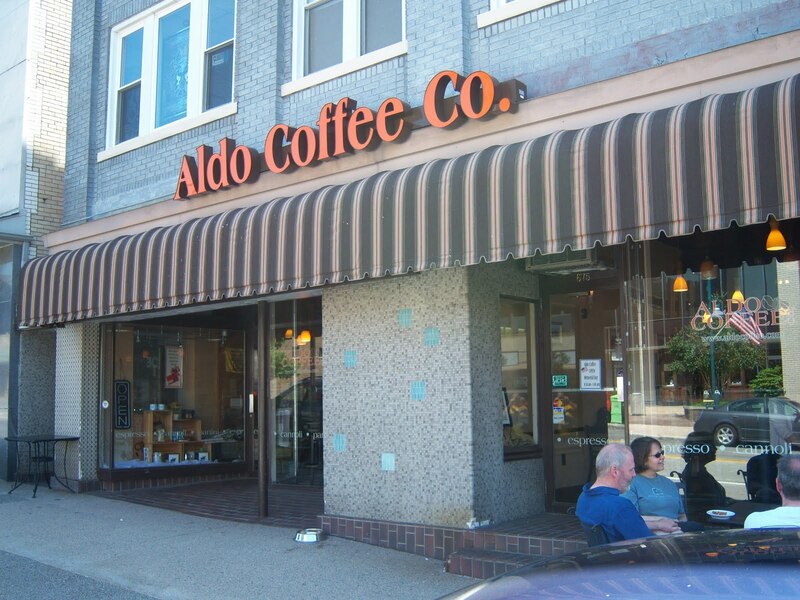 Aldo sits on a main street south of downtown Pittsburgh in a brick building with an orange, red and black (Halloween!) awning. Inside, the structure reflects two small shops merged, with the bar on the right, seating throughout and an overall low-lit joint decked out in Italian decor. The coffee hales from Stumptown, Intelligentsia and La Verdad (a coffee roasted by Aldo). 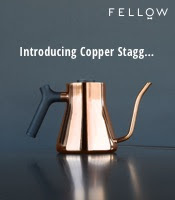 That morning, they (oddly) had Stumptown's Hairbender and Intelly's Black Cat as filter coffees (waiting in pump pots); the prospect of either wasn't really appealing as both are great for espresso but not really other infusions. But since they were pulling shots of Black Cat that AM, I went with the Hairbender for my cup of drip. While I can't say my hair bent, the brew produced a little brightness similar to lemon, hint of pepper, some pear, oregano and a little nuttiness. The coffee also proved a little saucy (due to what seemed staleness) but overall, was fairly good. As for the espresso, the Black Cat possessed notes of dark chocolate, lemon, nutmeg, a bit of hibiscus and some zesty vanilla. The shots were pulled short, had a good head of crema and proved pleasant. The tea is free leaf. While I can't say I would agree with Aldo's drip selections that day (they had so many others to choose from! ), I would say the experience overall gave my Saturday morning a nice bit of pep. When you're in the area, give Aldo a heave ho. The BC used was likely aged for espresso at 9-10 days, but the HB was 4 days off and actually does work very well as drip (not so much the BC). Customers ask for it by name now. 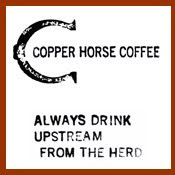 Probably another 7-10 days or so before we get our own roaster in the shop, so we'll be doing some interesting things shortly. Hope you get to visit again. Looks like Aldo has closed — sad face. wow, it seems they sold the store; hope the new owners can carry the torch?